Alexandra Lopez has been in the field of addictions counseling for over 20 years. She has an undergraduate degree from Rutgers University and a Masters Degree in Counseling Education from Kean University. She is a Licensed Clinical Alcohol Drug Counselor as well as a Certified Clinical Supervisor, a Certified Prevention Specialist a Board Certified Professional Counselor as well as a Licensed Professional Life Coach. She completed post- graduate studies at Kean University, in Education and Administration and is currently licensed by the NJ Department of Education as a School Supervisor. 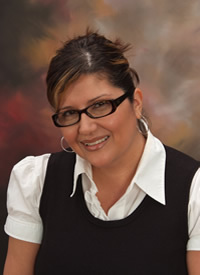 She is also a Private Practitioner working for many years as an advocate for the Latino community. She has been training professionals’ in the counseling and addictions field for over 15 years and travels extensively providing workshops, motivational speaking and continuing education credits. She has extensive experience in school law and policy and currently serves on the Board of Education for the Piscataway Public Schools. Alexandra also serves as a consultant for companies and organizations looking to develop clinical settings and programs for Substance Use Disorders across NJ and nationally.